The weather here in Charleston has been all over the place. Hot one day, cold the next. Running the air conditioner and then running the heat. It’s a perfect storm for getting sick. One of the ways I ward off a cold is by drinking lots of soup. This is actually 2 recipes in one. 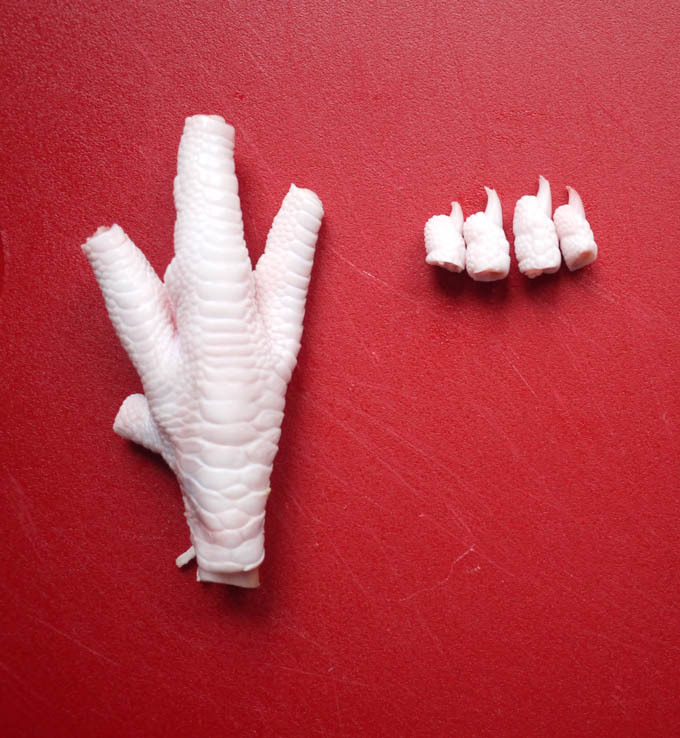 First, we’re going to make chicken feet bone broth. Bone broth is packed with nutrients like gelatin to help your joints, anti-inflammatories to control stomach acids, and marrow to boost your immune system. You can read more about the benefits of bone broth here at Paleo Leap’s Eat This: Bone Broth post. 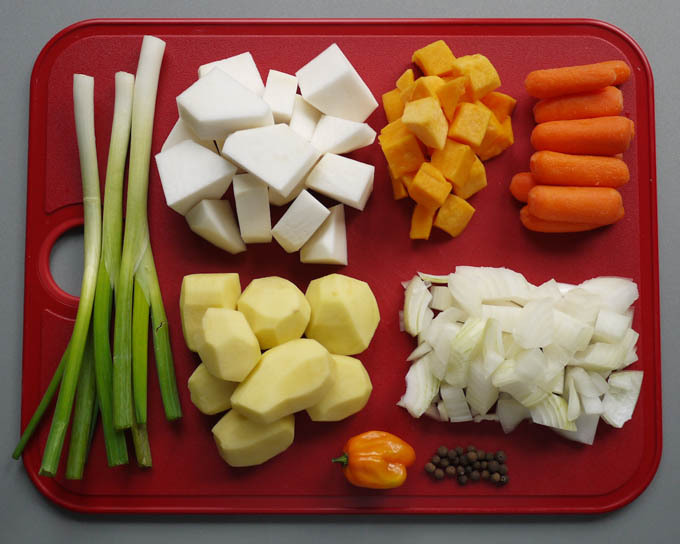 After we make the bone broth, we are going to use it in a hearty Jamaican style soup. The traditional version leaves the chicken feet in and uses a dry packet of chicken noodle soup for flavor. I got around using the packet by adding chicken breasts to the stock. Breasts and necks add the most “chickeny” flavor to broth. 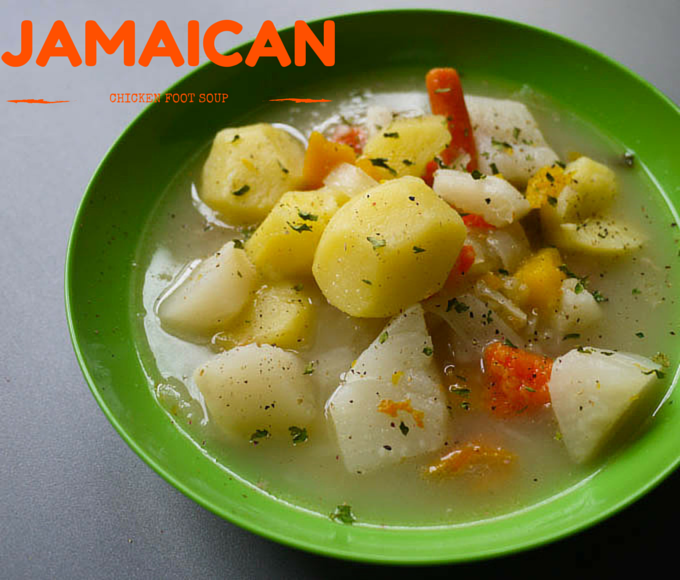 The feet add body to the broth and allow the broth coat the entire inside of your mouth and make you feel satisfied after eating it. Prepare the feet by cutting off the nails. This helps to release the gelatin into the water more quickly. In a large pot, add feet, breasts, thyme, garlic and water. Bring to a boil and then reduce heat to medium high and simmer gently for 2 hours. Strain the soup and discard the feet and breasts. You might be tempted to keep the breasts. Don’t. 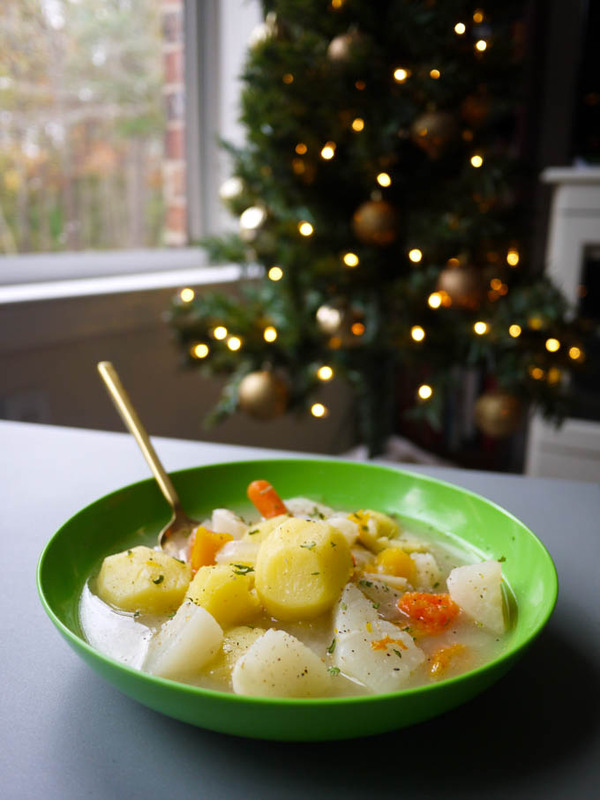 If you taste a piece, you will see that it has given up all of its flavor to the broth. You can stop right here if you want. 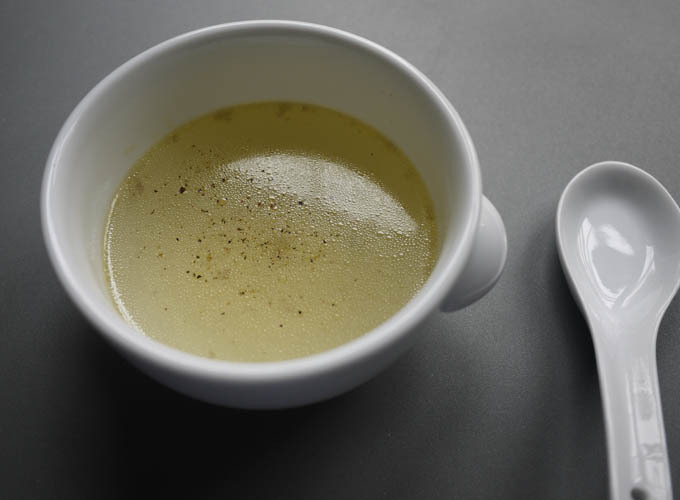 Sipping on a cup of this bone broth with a little salt and pepper is divine and so, so good for you! If you want to continue, return the broth to the pot. If you enjoy chicken feet, you can add those back in the pot with the strained broth. I typically give the pot a quick wipe to get rid of any scum along the sides. 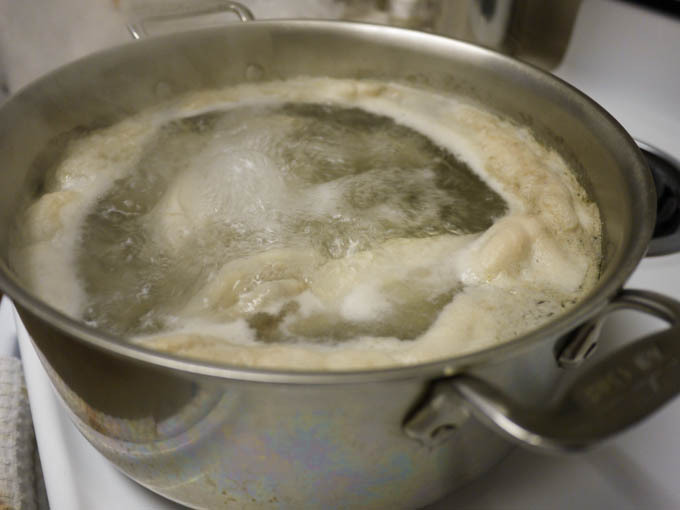 I don’t spend time straining off scum as the broth cooks because according to Serious Eats, it isn’t necessary as you long as you strain your broth. Prepare the remaining ingredients and add them to the pot. Bring to a boil, cover and simmer on medium high heat for approximately 45 minutes, until vegetables are cooked through. Discard the scotch bonnet pepper and serve. 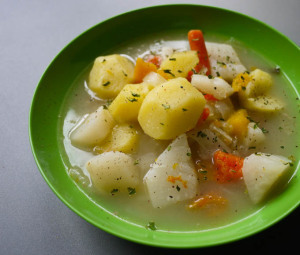 Chicken foot bone broth used to make a comforting Jamaican soup with potatoes, turnips, carrots and seasoning. Prepare the feet by cutting off the nails. Strain the soup and discard the feet and breasts. Stop right here if you are just cooking bone broth. If you want to continue, return the broth to the pot. I typically give the pot a quick wipe to get rid of any scum along the sides. The nutrition information does not include the chicken feet and chicken breasts because they are not consumed in the final dish. It’s amazing how Caribbean people always manage to let no part of an animal go to waste. Such a retro recipe that brings back memories (good ones). We just harvested our meat chickens , do I need to blanch the feet first to get the yellow skin off? I had chicken feet soup every day when I lived in Mexico but this is the first time making it .